Backwards compatibility (BC) for the Xbox One launched yesterday, and Microsoft’s head of the Xbox Gaming Division Phil Spencer, took to twitter to talk about the feature. According Spencer, losing games because of a new console generation, is always an easy. The Xbox head adds that the team has a very good, and deep collection of backwards compatible titles coming. Microsoft’s launched the new BC feature for their console yesterday, through the New Xbox One Experience update. 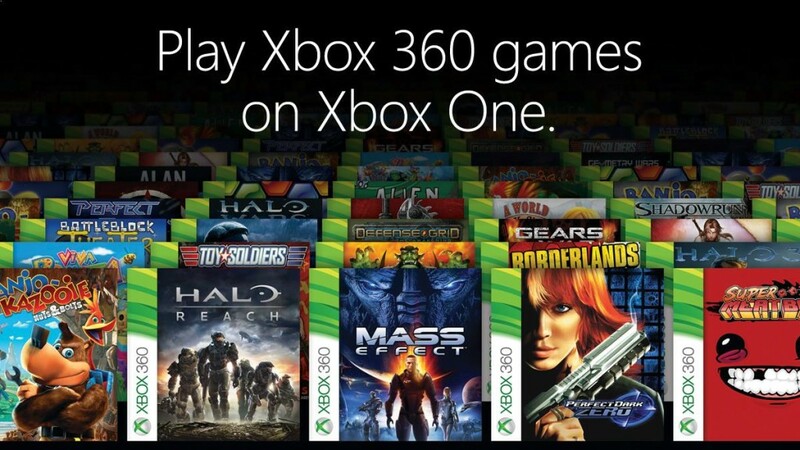 The feature allows players to play Xbox 360 titles on the Xbox One by emulating the Xbox 360 software on the Xbox One. Although the Xbox 360 was backwards compatible with original Xbox titles, the Xbox One wasn’t. Until this year’s E3, when Microsoft announced the new feature for their console. Following the launch of the feature, Xbox’s Phil Spencer shared how he felt about not being able to play last-gen games on current-gen console. According the Xbox head, it’s always been an issue to him, that a turn in a console gen means losing games. @iamcee_j To me it's always be an issue that when a console gen turns so many great games are lost. Nice to see games like AC2 playable. The BC feature launched with 104 titles yesterday, and more will be added in the coming months. One of the first titles will be Call of Duty: Black Ops. When asked if more Call of Duty tiles will be added in the future, Spencer replied that it’s a good sign that Black Ops is launching soon. Spencer adds that it’s great to have Activision’s support. @dagen_paladin So far we've announce one CoD game but obviously that's a good sign, really great to have their support. Talking about upcoming titles, Spencer states to have seen the list upcoming BC titles, and thinks that fans will be happy about what’s to come. According Spencer, a very good and deep collection of games is coming. @dagen_paladin We have a very good and deep collection of games coming. I've looked at the list and I think gamers will enjoy whats to come. Judging from Spencer’s answers, it’s a safe bet that more Call of Duty titles are on their way. Are you enjoying Backwards Compatibility on the Xbox One already? What is your experience? Hit the comments below.